Well-priced memory, but does the performance suffer? 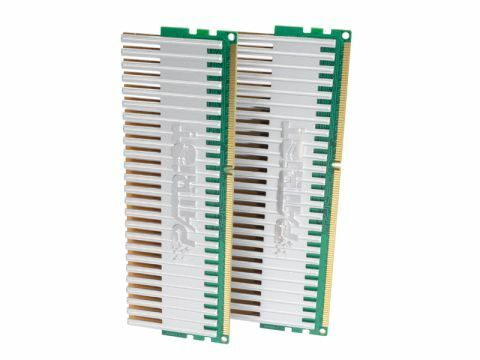 This memory is rated for faster speeds than the Corsair Dominator, but lower voltages and memory. We suspect that, underneath the steel Mohicans, the chips are identical, since not many vendors produce these high performance chips. As good as the competition? Is the difference merely cosmetic then? For £80 less the Patriot heatsink is by no means as sophisticated as the DHX spreader, and you don't get the fan included, but it does bring the price down to something approaching reasonable. The difference in performance is close enough not to warrant worrying about at 1,800MHz. The key definer is that the Dominator provided a bit more stability when pushed to 2GHz, so if you're looking for the best of the best, that's it.